Objec­tive: – Given a binary tree, print it in Bottom View of it. What is Bottom View: Bottom view means when you look the tree from the bottom the nodes you will see will be called the bottom view of the tree. See the exam­ple below. 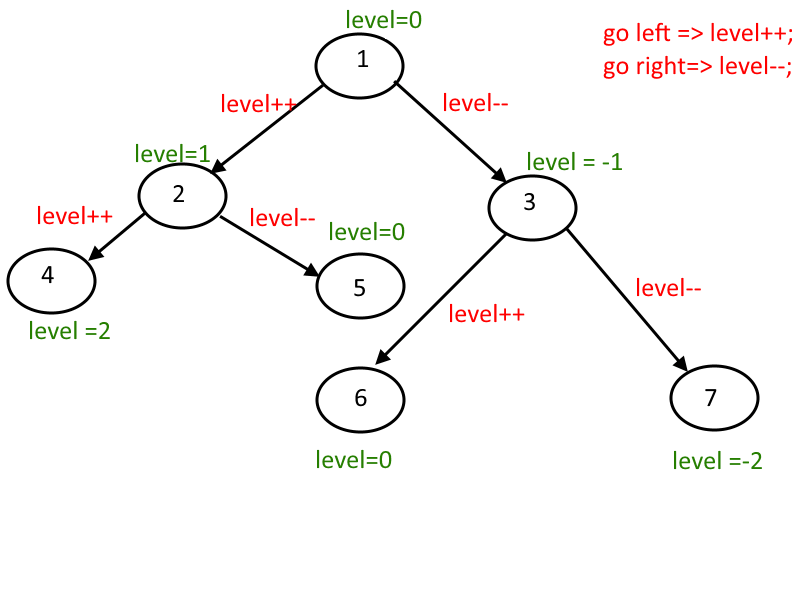 as you can see in the example above,8, 4, 9, 5, 3, 7 is the bottom view of the given binary tree. This Approach is quite sim­i­lar to the – Print the Binary Tree in Ver­ti­cal Order Path. and Print The Top View of a Binary Tree. Just mod­i­fied the code so that it will print only the last ele­ment it will encounter in the ver­ti­cal order. That will be the bottom view. How will you know that you are vis­it­ing the last node at every level(Vertically)? Take a variable called level, whenever you go left, do level++ AND whenever you go right do level–. Now you need to store the ele­ments of each level, so cre­ate a TreeMap and the (key,value) pair will be (level,element at that level). Now all we need to do the level order tra­ver­sal and store only recent visited node at each level(vertically), this way you will be storing only the last element at each level. We will use sim­ple queue tech­nique for level order tra­ver­sal or BFS. we will cre­ate a class QueuePack, this will store the objects con­tain­ing node and its level. At the end traverse through TreeMap and print all the values in it, it will be the bottom view of a tree. See the code for bet­ter understanding. 241 queries in 0.154 seconds.